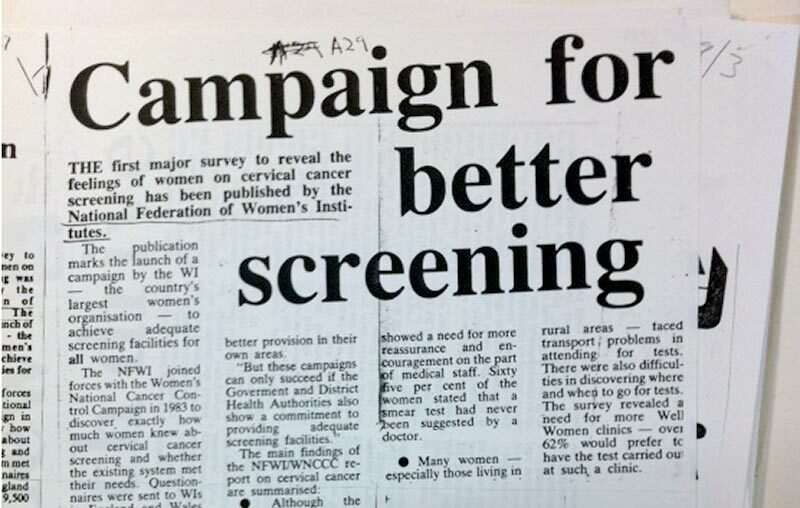 In 1964, a resolution proposed by Whitchurch on Thames WI called on ‘Her Majesty’s Government and the Regional Hospital Boards to treat as a matter of urgency the provision of comprehensive facilities for routine smear test for cervical cancer’. The WI began educating its members about screening facilities and encouraged women to ask for the test which was extremely under-utilised at the time. Even after a routinized smear test system was brought in for women in 1966, the WI was still concerned that women were not receiving the tests. After a further 22 years of pressure from the WI, in 1988, the Department of Health launched a computerised call and recall system and the first external quality assessment scheme for the laboratories that were processing the test results. Today the NHS considers cervical cancer screening as one of its biggest victories in the fight against cancer which saves an estimated 4500 lives each year.